Mindy Segal is serious about cookies. And Cookie Love is your new go-to, never-fail reference for turn-out-perfectly-every-time cookie recipes. Mindy, award-winning pastry chef and self-professed “cookie nerd,” shares all of her secrets for turning classic recipes into more elevated, fun interpretations of everyone’s favorite sweet treat. From Peanut Butter Peanut Brittle Cookies and Fleur de Sel Shortbread with Vanilla Halvah, to Malted Milk Spritz and Peaches and Cream Thumbprints, Segal’s recipes are inspired and far from expected. Inside you’ll find more than sixty perfected recipes for every kind of cookie including drop cookies, bars, sandwich cookies, shortbread, thumbprints, and more, as well as the best tricks and tools of the trade and everything you need to know to build the ideal cookie pantry. 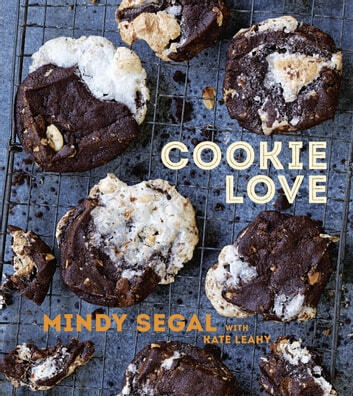 A must-have for anyone looking to up their cookie-baking game, Cookie Love is a celebration of the most humble, delicious, and wonderful of baked treats.